Gold Stork scissors. Quality stainless steel, with sharp, fine points. 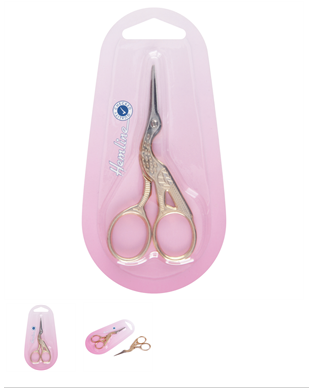 Specially designed for embroidery and hand-needle work. Ideal for detailed cutting, suitable for general hobby and craft projects. 9cm (3.5in).